The SLA’s are consistenly in trouble! Every company has this problem. They have implemented some solution to do file transfers and it worked well. 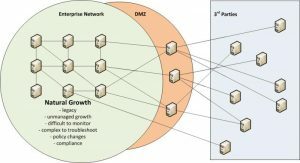 However, as the enterprise grew the complexity also grew. Suddenly what seemed like an easy solution, has now become a monster to manage as the points of failure has now become more than they can handle. When file transfers fail, it becomes a finger-pointing exercise where the blame is shifted between the domains. In the last 15 tears the industry has grown tremendously. As technology developed, more and more applications were moved onto servers and soon companies found that their traditional environments were not only out of space, but also a nightmare to manage. Speak to any Systems Manager and he will tell you what a challenge he has to try and implement management tools to try and get the explosion in the IT industry managed. As the enterprise grew and the lack of proper management tools grew, the environment has become more and more difficult to monitor. File transfer volumes had now also increased substantially and as the struggle is just to get the basic enterprise monitored, file transfers seems to be forgotten in the background. With component monitoring facing an already challenging problem to get under control, the management of file transfers seems to be impossible. The individual components can be monitored, but management of the end-to-end process is not easy. It is a complex environment and it becomes even more complex when file transfers fail. Each domain owner is always convinced that the failure is not in his/her space and finger-pointing is the norm. This does, however, never resolve the problem as there is nothing that can point to where the transfer actually failed. Policy changes are one of the major factors that contribute to transfers failing. A new policy is applied on a server or servers and nothing seems to work again. As these changes normally take place during the night and is often applied automatically, it makes it very difficult to identify the problem if there is not any proper management of the transfer process. One of the biggest issues companies face is the compliance to some international standard prescribed by your industry. Examples are where companies have to move away from FTP to SFTP to make sure the data in file transfers are secure. Another is the PCI-DSS standards that are imposed by VISA – and MASTER Card on all Credit Card Merchants. Unsecure transfers are just no longer accepted and put companies at risk. Not only for the loss or theft of data, but also from heavy penalties imposed by the regulators. At netUP we heard the call from business and responded. Through years of working in the industry, our team identified the gaps in transfer software in the market and realized that the main issue is never around the transfer, but the management thereof. That is why we developed a single user interface to perform the management of all transfers. We are very proud of the management layer that was built to enable the customer to; not only take control of his file transfers, but also allows the customer to see the status of the transfer. We identified that the biggest issue – as was stated by a customer in the business problem – is not the transfer of the data, but the identification of the source of failure. This is where the the netUP solution brings the answers to the table. If you can read and click a mouse, you can drive the netUP solution. The interface is simple and no extensive training is required for the monitoring staff to enable them to immediately add value. Monitoring and management is centralized through a web interface, which means that it is easy to access, and no complicated software stacks are required to perform the monitoring and management of the transfer process. As stated before, you will have a proper view of all your transfers and we can even put monitoring layer on top of your current transfer software to enable effective monitoring of the transfers. This enables you, to at last, get better value out of your already made investment. We can therefore easily integrate with industry leading software, e.g. 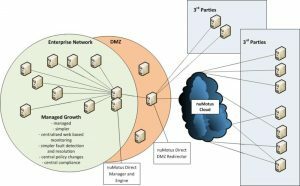 IBM Connect Direct (C:D) and CA XCOM. The option to use our own developed transfer software will, however, give you better functionality. We have made life easy for you. No longer do you need people to spend hours trying to find out what went wrong with a transfer, we will show you in our monitoring interface where the problem occurred! No more finger-pointing amongst the IT domains in problem sessions, as we can point the finger with authority to the failed domain! We can show you where the transfer failed, so the correct people can be contacted immediately to resolve the issue. The netUP management and monitoring software is controlled from a central rules and management system, and once an agent has been deployed, you should never have to revisit that site again as long as the environmentals remain the same. All policy changes are applied centrally and automatically promulgated to all the agents. The same applies to software upgrades. By introducing the netUP solution into your environment, you have introduced a platform that can address your compliancy and regulatory requirements. Once your enterprise is run and managed by the netUP solution, we can modify any of our modules to ensure you are compliant and meet your regulatory requirements. The benefit is that you only have to do it centrally and it is done! No need to revisit every host down the stream.